Beginning in May, your plate is your parking permit. UCLA Transportation plans to launch paperless parking permits in May, allowing customers to do away with the tags that hang from rearview mirrors and instead use their license plate as their permit. 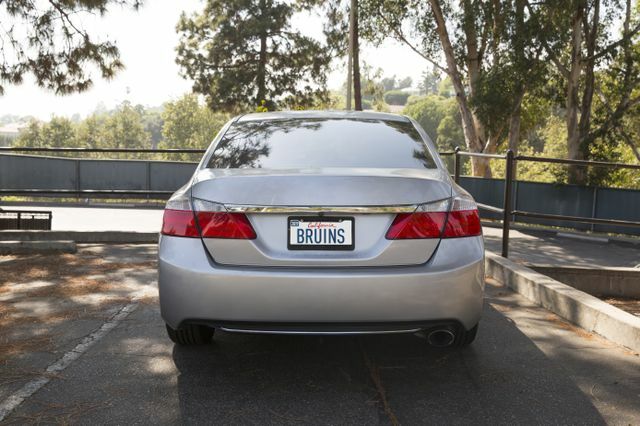 The new Bruin ePermit system will use license-plate recognition software to scan each vehicles’ plate as they enter a parking lot or structure. 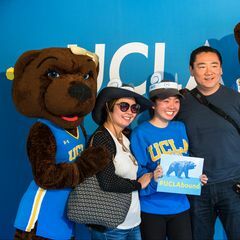 Bruins will be able to purchase and manage their permits online, instead of visiting transportation’s building in person to wait in line for hangtags and gate access cards. More details are at bruinepermit.ucla.edu. Drivers who previously changed their hangtag from one car to another can instead register up to three cars on one parking permit under the new system. The license-plate scanners will automatically check each plate number against parking’s database to verify that a car has a valid permit, and that only one car is using each permit at a time. As the new system rolls out, transportation also intends to remove gate arms to eliminate the need for gate access cards, further reducing waste. The department noted that the ePermit system will not only streamline parking for customers, but also support campus sustainability goals and the University of California’s commitment to carbon neutrality by 2025. Approximately 1,500 pounds of paper and 30,000 plastic hangtags will be eliminated from the parking production process annually. Customers can also expect shorter lines for times they do need to visit the transportation lobby, and will never again have to worry about fees for lost or stolen hangtags, the department announced. “In future years, the ultimate goal will be to give commuters the flexibility to participate in a number of UCLA’s sustainable transportation programs and pay for parking only when needed,” the department announced. A car parked at UCLA with a license plate reading "Bruins."